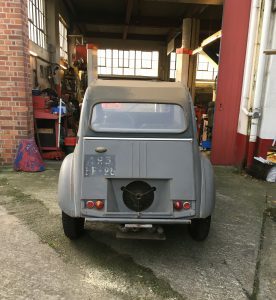 This little beauty was bought in auction for over €170 000.00 in auction in Europe, so imagine my surprised when it arrived on the garage doorstep! My instructions was to “get it working but only to work on the engine and brakes”, so we did. 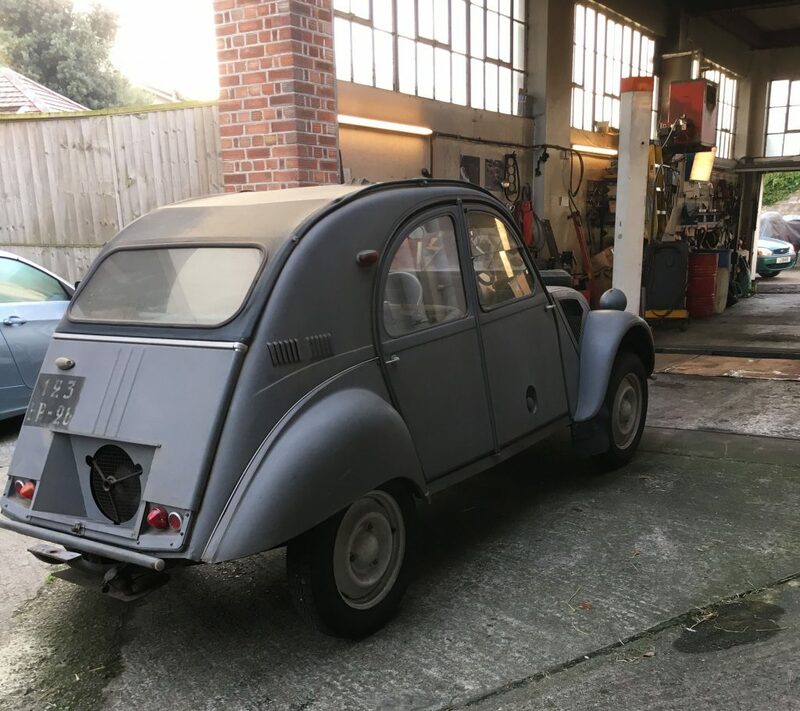 We made it roadworthy got both engines roaring to life with a little bit of help from our French and UK 2cv parts suppliers. One of the big challenge was to restore the fuel tanks. As the car had been left standing for decades, although superbly preserved, the fuel tanks had not been empty and the petrol had fossilised inside the tanks. This was sorted by using some chemicals and a lot of elbow grease, and more elbow grease, and more…. guess what, yes elbow grease!!! It took us a little while, but we got it back on the road and returned it to its new proud owner. Mind you it was bit nerve racking working on such an expensive car!